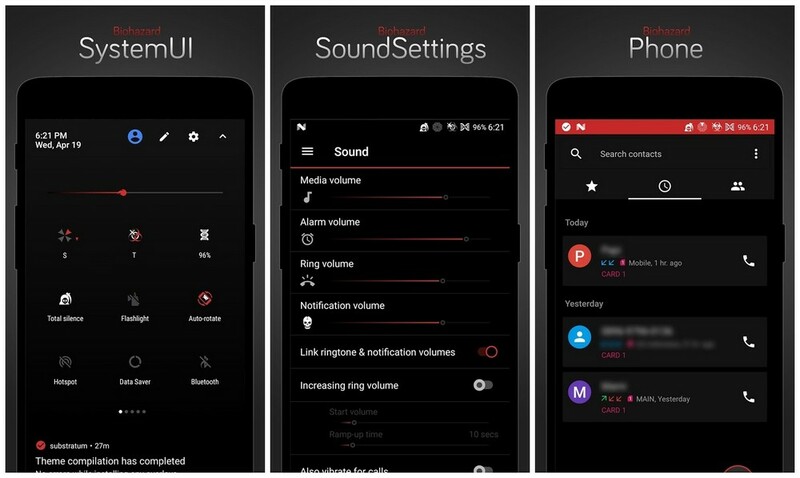 Biohazard Substratum Theme Unique and elegant dark theme with aesthetic black and red accent design. Biohazard theme works on rom with full Substratum OMS support and also work with stock rom with legacy RRO support (such as LineageOS). This theme also works on Custom ROM with full Substratum OMS Rootless support and Stock ROM with legacy RRO support (such as LineageOS). Please don't use the review section to report bugs or suggestion, feel free to contact me via email (link available at developer e-mail) or telegram with detailed message and if possible with screenshots and a log file if want to report bugs. If you have any further question, don't hesitate to contact me. 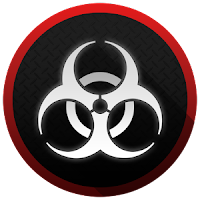 Biohazard Substratum theme are compatible with latest Android Oreo. ThemeReady Gapps is not required With all respect to TBO team, this theme works with stock Google Apps.Lots of overlays Currently themed apps are: Android Framework, Browser, Calculator, Camera, Calendar AOSP, CellBroadcast, Chrome, Contacts, cLock, DeskClock, Dialer, DocumentsUI / Files, Development, DU About, Gallery, Gmail, Google App, Google Contacts, Google Clock, Google Dialer, Google Drive, Google Hangout, Google Keep, Google Messenger, Google Photos, Google PlayStore, Google PlayConsole, Google Play Services, Google Plus, Google Wallpaper, Inbox, Keyboard aosp, Launcher3, OmniClock, Settings, Substratum, SuperSU, superuser, SystemUI, SystemUI NavBar, SystemUI StatusBar, Telecom, WhatsApp(Stable version only) and more.